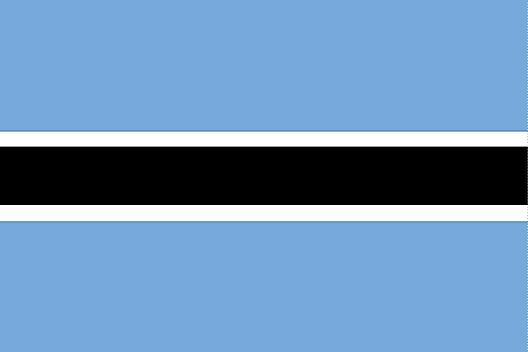 Coat of Arms: Botswana's coat of arms was adopted on January 25, 1966, and contains a shield supported by two zebras. The zebras hold onto a tusk of ivory (symbolic of the former ivory trade) and an ear of sorghum (an important crop to the nation. 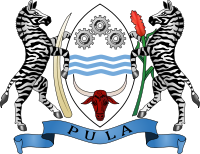 Within the shield are three cogwheels representing industry, three waves symbolizing water, and the head of a bull to depict the importance of cattle herding.